KATHMANDU, June 3: Once hailed as a powerful constitutional body for acting tough on corruption charges, the Commission for the Investigation of Abuse of Authority (CIAA), has for quite some time now failed to carry out investigations into any major corruption scams. It has been months since the anti-corruption body filed big corruption cases at the Special Court. Not a single high-profile person has been taken to the court on corruption charges in the recent months by the anti-corruption body. The CIAA, the anti-graft body constitutionally empowered with the mandate of taking up corruption complaints against the suspects, probing the accusations against them and taking them to the court, has not been successful to catch any 'big fish'. The anti-graft body's activities are just limited to running daily affairs and catching small fishes on the charge of bribery or arrest certain people when complaints are registered against them. 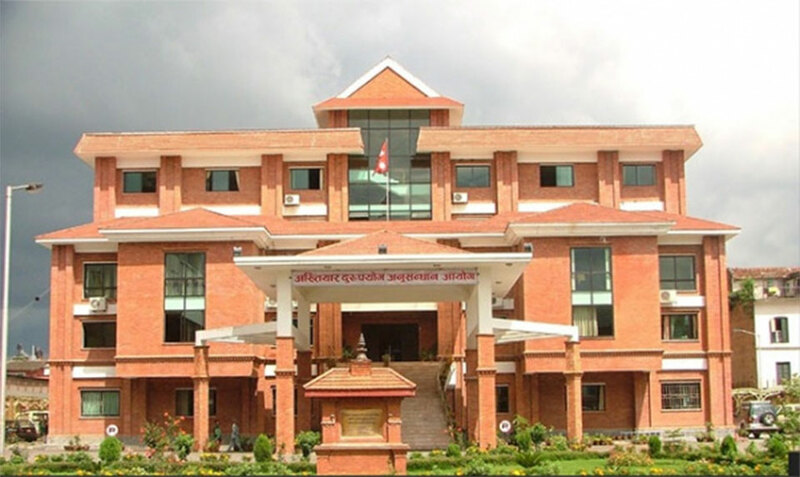 Multi-million rupee scams such as Nepal Oil Corporation (NOC) land purchase scam and cases involving top politicians and bureaucrats are pending there for long.Despite completing interrogation of all the accused in the NOC land purchase scam, the CIAA is yet to file a case against the accused. The then parliamentary committees, the government and Office of the Auditor General have categorically shown involvement of Gopal Khadka, the then Managing Director of NOC, and other officials in the land scam. Khadka and his team has been accused of misappropriating millions of rupees while procuring land for NOC in Jhapa, Sarlahi, Bhairahawa and Chitwan for the purpose of building fuel storage centers in various districts.Based on an investigation by the parliamentary committees, a cabinet meeting had relieved Khadka from the post of NOC managing director. Yet, the anti-graft body has remained reluctant to investigate into the land scam and several other high-profile politicians, bureaucrats and other security officials accused of accumulating disproportionate properties.Asked about the anti-graft body's slow progress in corruption scams including the NOC land purchase deal, CIAA Spokesperson Rameshwor Dangal said he was not aware about the progress made so far in these cases.According to CIAA officials, the anti-graft body hasn't been able to muster enough courage to nab any big fish after the then chief commissioner Lokman Singh Karki faced an impeachment motion in the House. With the fall of the Lokman regime, Deep Basnyat was picked for the vacant chief commissioner's position by the then ruling parties—Nepali Congress and the then CPN (Maoist Center). After assuming office as the chief of the anti-graft body, Basnyat gave clean chits to few politicians, bureaucrats and officials of security agencies who were brought under the scanner when Karki was heading the CIAA. Basnyat, however, was successful in investigating the multi-billion rupee tax scam and take on the members of controversial Tax Settlement Commission (TSC). Basnyat was credited for arresting Inland Revenue Department chief Chudamani Sharma, who had also worked as member-secretary of TSC and file the largest corruption case (in terms of the amount misused) at the Special Court. Sharma and two members of the TRC—Lumbdhwoj Mahat and Umesh Prasad Dhakal have been accused of causing a loss of over Rs 10 billion to the state and the investigation into the scam is underway. In the aftermath of Basnyat's retirement in February, Nabin Kumar Ghimire took charge of the anti-graft body as its acting chief. But CIAA is visibly inactive, say experts. “Some problems have emerged. Higher authorities like the CIAA should not go stagnant,” said former CIAA chief Suryanath Upadhya suggesting to the government to fill the vacant positions at key constitutional bodies. “The delay in appointing chiefs of anti-graft body and other commissions has affected their performance,” he added. CIAA officials say that acting CIAA chief Ghimire himself wants to lead the CIAA. To ensure his appointment as the CIAA chief, Ghimire does not want to act tough against anyone in his bid to garner wider support when the government moves to fill the vacant posts at the constitutional bodies.Prime Minister KP Oli has time and again said at public forums that neither will he commit corruption himself nor will hew let anyone else to commit corruption. People monitoring the situation say the prime minister is yet to put his words into practice. The PM has not taken any initiative to appoint the chief commissioner at the anti-graft body and the chief justice of the Supreme Court. Also, he has turned a deaf ear to the accusations that his cabinet members are indulged in irregularities. For example, Transport Minister Raghubir Mahaseth has been accused of assisting pro-syndicate transport entrepreneurs by transferring senior bureaucrats committed to end the transport syndicate. But PM Oli never sought any clarification from the minister. Also, his government is unsuccessful to form the parliamentary committees including Parliamentary Special Hearing Committee, the committee responsible for appointing CJ, chief commissioner and commissioners of constitutional bodies.Experts are worried over the delay in appointing the chiefs of key authorities that has affected the process of ensuring good governance. “The delay in forming parliamentary committees and appointing chiefs of higher authorities is not a good sign,” said Upadhyay.